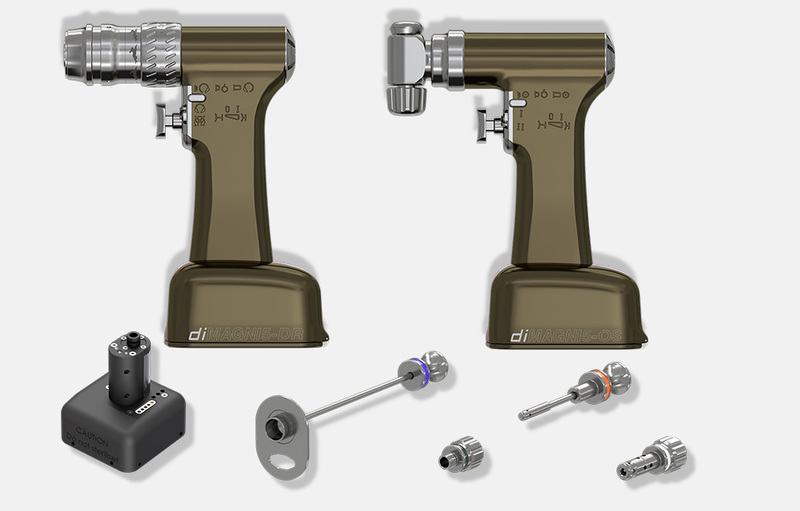 With the new diMAGNI5 PowerTool series, we offer you a reliable partner for the areas of orthopaedics and trauma surgery, for the daily hospital business. The heart of diMAGNI5 is the powerful, innovative and reliable engine unit, which gives fresh impetus to the everyday clinical practice. The new diMAGNI5 series impresses with the low weight, in conjunction with an ergonomic design, which allows the user a labour-saving and fatigue-free use even in long-term interventions. With the diMAGNI5 series you will get a sophisticated system considering all requirements of the clinical business.